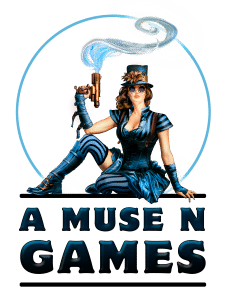 The battle for the Traxis sector continues this June and July at A Muse N Games! The Summer League will consist of 3 dates, bridging the gap between the regional championship and the Summer Tournament Series. Each date will be a separate tournament using standard Conquest Tournament Rules. Entry for each session is $5. A Summer tournament kit will be used as prize support for the league. Are you interested in learning how to play Conquest? At each session, a demo table will be available, and someone will be available to teach new players how to play. Conquest is in it’s early stages, and this is a great time to jump into this game! If you own Conquest cards, but would like assistance in deck building, or would like to gain confidence playing, these league sessions are a perfect learning grounds.